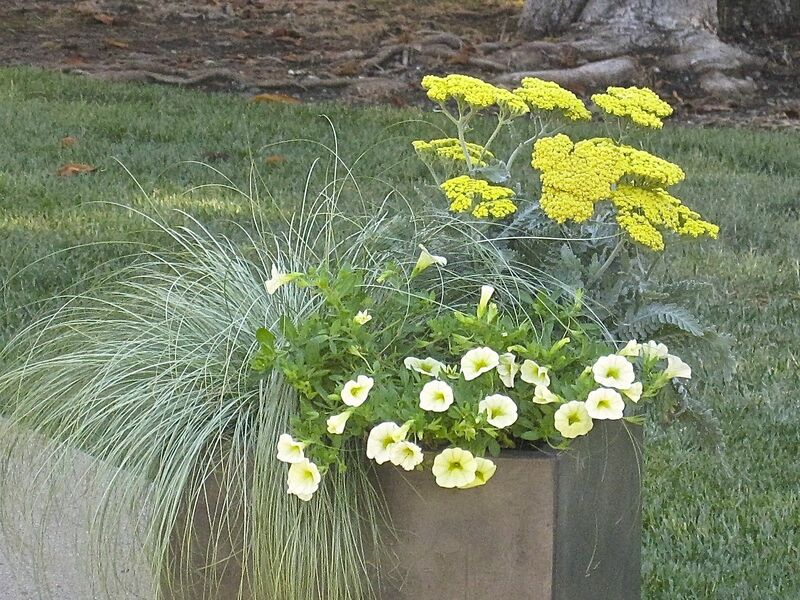 A container with multiple plantings providing variations in color and texture. Photo courtesy of Julie Chai. You don’t need acres to have a lush landscape. As long as you can set aside a few square feet on a porch, patio, or deck, you can still nurture your own patch of greenery. But having a small space isn’t the only reason to grow in pots. 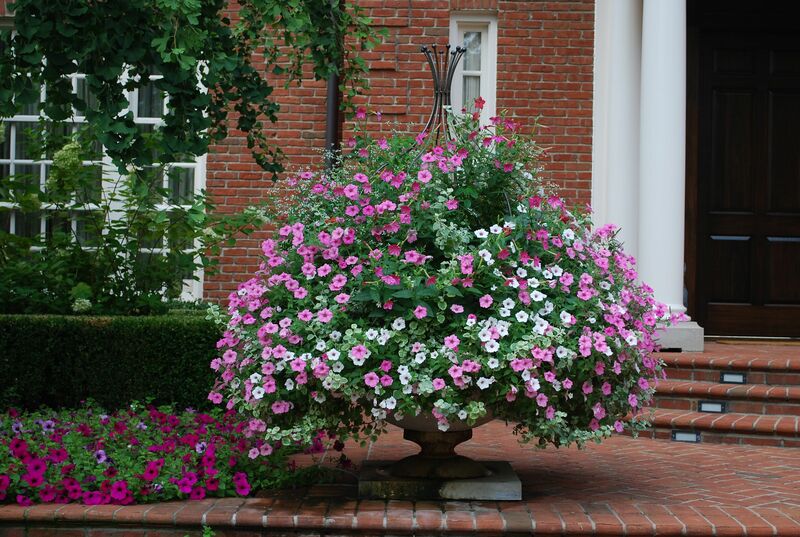 Container gardens can accent even the biggest yards. I’ve been container gardening for years, and I’ve grown to love my mini landscapes even more than their surrounding plot. I think it’s because they’re physically closer to where I spend the most time—on my patio and pathways—so I tend to give them a little extra TLC and get to know them better than plants that are further away in the yard. Knowing that I’ll see them up close, and often, I take more care with choosing what will go in the pots, and each choice starts to feel like a little gem. Container gardening can be easy. Just remember these basics and you’ll be tending to your own potted plots in no time. If you’re new to this, a good first step is to choose a vessel rather than start by picking plants. That’s because pots can be pricey, so you want to buy ones that you’ll like for a long time. There are a zillion styles and materials to choose from, including terra cotta, ceramic, plastic, and concrete; just keep in mind that unglazed containers can dry out faster than their non-porous counterparts. 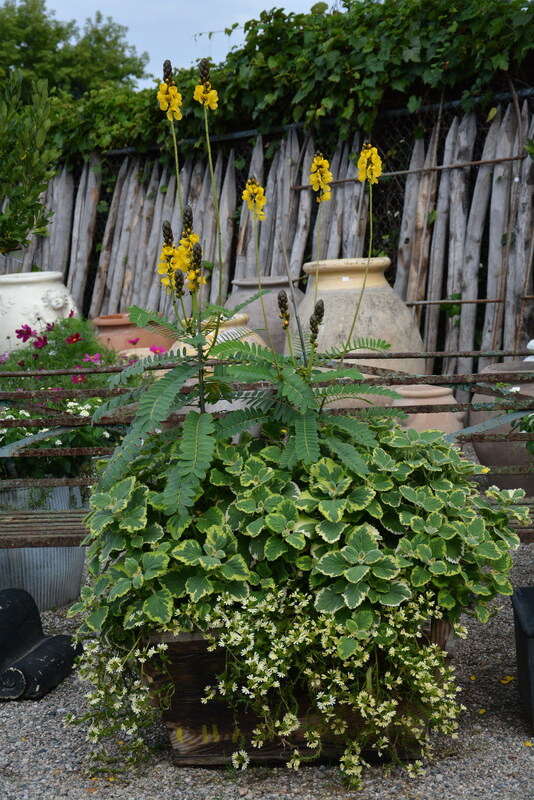 I always suggest going with pots that complement the look of your home or surrounding garden, and if you’re buying several, try to choose containers that relate—all in a similar color or style—so they have a pulled-together look when grouped. And unless you’re planning a tabletop garden, it’s a good idea to use a bigger container—at least 14 inches tall and wide—so that it looks substantial on your porch, patio, or in the landscape. Make sure your pots have drainage holes; if not, drill some. And set really big ones in place before you plant—they’re easier to move empty than when weighed down with heavy soil. A bloom-filled planter by garden and landscape designer Deborah Silver, owner of Detroit Garden Works, a brick-and-mortar and online shop that sells fine vintage and antique garden elements and accessories. Photo courtesy of Deborah Silver. Next comes the fun part: picking plants! The options are literally endless. I like to use five or fewer plants in a container so that each of them really stands out. Pick growers that catch your eye at the nursery, and experiment with mixing textures, colors, and shapes. Don’t be afraid to try something new—the most important thing about your container garden is that whatever you put together makes you happy every time you look at it. If you want your pot to look full right away you can certainly pack plants in, but that just means more work for you—they’ll fill out fast, and you’ll eventually need to prune or remove some so that the others have room to grow. I prefer to leave at least a few inches between plants so they can comfortably spread out over time. There’s just one rule: In any given pot, combine only plants that have the same water and sun preferences (either all sun lovers or all shade dwellers, etc.) so that everything thrives. When in doubt, read the plant tags or ask your nursery staff for advice. Multi-level plantings in a container at Detroit Garden Works. Photo courtesy of Deborah Silver. Resist the temptation to dig up dirt from your garden and use it in your containers—it’s generally too heavy or too light, and might have diseases and weeds that you don’t want in your pots. Unless you’re skilled at making your own soil blends, it’s easiest to buy bagged soil, since it’s made to drain well and is already packed with nutrients that your plants need. Plants in pots devour nutrients quickly, so you’ll want to fertilize regularly to keep your container gardens looking their best. You can mix a controlled-release fertilizer into the soil at planting time, apply a diluted organic liquid fertilizer every other week, or use any other plant food you like—just be sure to follow package instructions. Julie Chai is the West Coast editor for Garden Variety. A garden writer, educator, and consultant, she’s the former senior garden editor for Sunset Magazine, where she was on staff for more than a decade. She lives in the Bay Area and gardens in containers on her front porch. This entry was posted in Container Gardens, Container Plants and tagged container gardening, container gardens, Deborah Silver, Detroit Garden Works, gardening in pots, Julie Chai, small space gardening, Sunset magazine. Bookmark the permalink.